This month’s featured lifter is Allison Hind. Allison is a NY State and an American record holder in the bench press. She is also a member of the USA Powerlifting 2016 World Classic Bench Press team and will be heading to Potchefstroom RSA in May 2016. 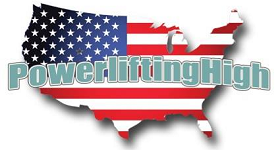 USAPL-NY: What got you interested in Powerlifting? Allison Hind: I started going to the gym regularly in 2013, but at the time, I didn’t have any specific goals. My brother-in-law was a manager at a local gym, and I often trained with him. We have a very competitive, sibling-like relationship, so I always tried to keep up with whatever weights he was using. A couple of the trainers at the gym noticed this and started teasing him about his sister-in-law “out-lifting” him. But one of them had done a powerlifting meet himself, and he suggested to my brother-in-law that I might want to try it out. Another gym had a meet coming up, so I looked up the results from the previous meet they’d held to make sure I wouldn’t completely embarrass myself, and then I signed up. USAPL-NY: Where was your first meet? USAPL-NY: What have you learned since that first meet? USAPL-NY: What goals do you have for the future? AH: I want to get to 300 raw on bench (which I realize is a long-term goal J) and total 1000 in a 3-lift meet. USAPL-NY: What is your favorite lift and why? AH: Bench, of course. I think it’s partially because I was naturally kind of good at it, and partially just because I think its fun. USAPL-NY: What is your least favorite lift and why? AH: Squat. I had a lot of depth issues with this lift, and it took me a while to find a form that worked for me. USAPL-NY: Do you follow a specific training program? And if you do what is it? AH: I often haven’t followed specific training programs, although I have used kind of a modified Ed Coan program for the deadlift. I did recently decide to try Smolov Jr for bench. I’m about 2/3 of the way through it and I really like it so far. USAPL-NY: Do you lift as part of a team? Who are they and how did you become part of that group? AH: I’m part of Bent Bar Powerlifting. They hosted a meet in December 2015 as a fundraiser for a dog-rescue group, and they invited me to be part of their team afterwards. USAPL-NY: What advice would you give any new lifter young or old? AH: There’s a lot of useful advice out there, and there are many different ways of getting stronger. But if you take advice from too many sources, you’re only going to confuse yourself and possibly end up combining methods that don’t really work together. If you’re looking for help, find one or two people or resources you trust, listen to them, and tune out the rest. USAPL-NY: Tell us something about you that others in the PL world don’t know about you? AH: Back in 2013, when I first started going to the gym regularly, I had to Google “deadlifts” because I had no idea what they were.